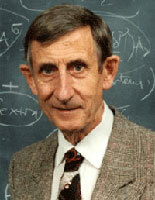 FREEMAN DYSON is professor of physics at the Institute for Advanced Study, in Princeton. His professional interests are in mathematics and astronomy. Among his many books areDisturbing the Universe, Infinite in All Directions Origins of Life, From Eros to Gaia, Imagined Worlds, and The Sun, the Genome, and the Internet. His most recent book, Many Colored Glass: Reflections on the Place of Life in the Universe (Page Barbour Lectures), is being published this month by University of Virgina Press. When I listen to the public debates about climate change, I am impressed by the enormous gaps in our knowledge, the sparseness of our observations and the superficiality of our theories. Many of the basic processes of planetary ecology are poorly understood. They must be better understood before we can reach an accurate diagnosis of the present condition of our planet. When we are trying to take care of a planet, just as when we are taking care of a human patient, diseases must be diagnosed before they can be cured. We need to observe and measure what is going on in the biosphere, rather than relying on computer models. Everyone agrees that the increasing abundance of carbon dioxide in the atmosphere has two important consequences, first a change in the physics of radiation transport in the atmosphere, and second a change in the biology of plants on the ground and in the ocean. Opinions differ on the relative importance of the physical and biological effects, and on whether the effects, either separately or together, are beneficial or harmful. The physical effects are seen in changes of rainfall, cloudiness, wind-strength and temperature, which are customarily lumped together in the misleading phrase “global warming”. In humid air, the effect of carbon dioxide on radiation transport is unimportant because the transport of thermal radiation is already blocked by the much larger greenhouse effect of water vapor. The effect of carbon dioxide is important where the air is dry, and air is usually dry only where it is cold. Hot desert air may feel dry but often contains a lot of water vapor. The warming effect of carbon dioxide is strongest where air is cold and dry, mainly in the arctic rather than in the tropics, mainly in mountainous regions rather than in lowlands, mainly in winter rather than in summer, and mainly at night rather than in daytime. The warming is real, but it is mostly making cold places warmer rather than making hot places hotter. To represent this local warming by a global average is misleading. The fundamental reason why carbon dioxide in the atmosphere is critically important to biology is that there is so little of it. A field of corn growing in full sunlight in the middle of the day uses up all the carbon dioxide within a meter of the ground in about five minutes. If the air were not constantly stirred by convection currents and winds, the corn would stop growing. About a tenth of all the carbon dioxide in the atmosphere is converted into biomass every summer and given back to the atmosphere every fall. That is why the effects of fossil-fuel burning cannot be separated from the effects of plant growth and decay. There are five reservoirs of carbon that are biologically accessible on a short time-scale, not counting the carbonate rocks and the deep ocean which are only accessible on a time-scale of thousands of years. The five accessible reservoirs are the atmosphere, the land plants, the topsoil in which land plants grow, the surface layer of the ocean in which ocean plants grow, and our proved reserves of fossil fuels. The atmosphere is the smallest reservoir and the fossil fuels are the largest, but all five reservoirs are of comparable size. They all interact strongly with one another. To understand any of them, it is necessary to understand all of them. As an example of the way different reservoirs of carbon dioxide may interact with each other, consider the atmosphere and the topsoil. Greenhouse experiments show that many plants growing in an atmosphere enriched with carbon dioxide react by increasing their root-to-shoot ratio. This means that the plants put more of their growth into roots and less into stems and leaves. A change in this direction is to be expected, because the plants have to maintain a balance between the leaves collecting carbon from the air and the roots collecting mineral nutrients from the soil. The enriched atmosphere tilts the balance so that the plants need less leaf-area and more root-area. Now consider what happens to the roots and shoots when the growing season is over, when the leaves fall and the plants die. The new-grown biomass decays and is eaten by fungi or microbes. Some of it returns to the atmosphere and some of it is converted into topsoil. On the average, more of the above-ground growth will return to the atmosphere and more of the below-ground growth will become topsoil. So the plants with increased root-to-shoot ratio will cause an increased transfer of carbon from the atmosphere into topsoil. If the increase in atmospheric carbon dioxide due to fossil-fuel burning has caused an increase in the average root-to-shoot ratio of plants over large areas, then the possible effect on the top-soil reservoir will not be small. At present we have no way to measure or even to guess the size of this effect. The aggregate biomass of the topsoil of the planet is not a measurable quantity. But the fact that the topsoil is unmeasurable does not mean that it is unimportant. At present we do not know whether the topsoil of the United States is increasing or decreasing. Over the rest of the world, because of large-scale deforestation and erosion, the topsoil reservoir is probably decreasing. We do not know whether intelligent land-management could increase the growth of the topsoil reservoir by four billion tons of carbon per year, the amount needed to stop the increase of carbon dioxide in the atmosphere. All that we can say for sure is that this is a theoretical possibility and ought to be seriously explored. Another problem that has to be taken seriously is a slow rise of sea level which could become catastrophic if it continues to accelerate. We have accurate measurements of sea level going back two hundred years. We observe a steady rise from 1800 to the present, with an acceleration during the last fifty years. It is widely believed that the recent acceleration is due to human activities, since it coincides in time with the rapid increase of carbon dioxide in the atmosphere. But the rise from 1800 to 1900 was probably not due to human activities. The scale of industrial activities in the nineteenth century was not large enough to have had measurable global effects. So a large part of the observed rise in sea level must have other causes. One possible cause is a slow readjustment of the shape of the earth to the disappearance of the northern ice-sheets at the end of the ice age twelve thousand years ago. Another possible cause is the large-scale melting of glaciers, which also began long before human influences on climate became significant. Once again, we have an environmental danger whose magnitude cannot be predicted until we know more about its causes, [Munk, 2002]. The most alarming possible cause of sea-level rise is a rapid disintegration of the West Antarctic ice-sheet, which is the part of Antarctica where the bottom of the ice is far below sea level. Warming seas around the edge of Antarctica might erode the ice-cap from below and cause it to collapse into the ocean. If the whole of West Antarctica disintegrated rapidly, sea-level would rise by five meters, with disastrous effects on billions of people. However, recent measurements of the ice-cap show that it is not losing volume fast enough to make a significant contribution to the presently observed sea-level rise. It appears that the warming seas around Antarctica are causing an increase in snowfall over the ice-cap, and the increased snowfall on top roughly cancels out the decrease of ice volume caused by erosion at the edges. The same changes, increased melting of ice at the edges and increased snowfall adding ice on top, are also observed in Greenland. In addition, there is an increase in snowfall over the East Antarctic Ice-cap, which is much larger and colder and is in no danger of melting. This is another situation where we do not know how much of the environmental change is due to human activities and how much to long-term natural processes over which we have no control. Another environmental danger that is even more poorly understood is the possible coming of a new ice-age. A new ice-age would mean the burial of half of North America and half of Europe under massive ice-sheets. We know that there is a natural cycle that has been operating for the last eight hundred thousand years. The length of the cycle is a hundred thousand years. In each hundred-thousand year period, there is an ice-age that lasts about ninety thousand years and a warm interglacial period that lasts about ten thousand years. We are at present in a warm period that began twelve thousand years ago, so the onset of the next ice-age is overdue. If human activities were not disturbing the climate, a new ice-age might already have begun. We do not know how to answer the most important question: do our human activities in general, and our burning of fossil fuels in particular, make the onset of the next ice-age more likely or less likely? There are good arguments on both sides of this question. On the one side, we know that the level of carbon dioxide in the atmosphere was much lower during past ice-ages than during warm periods, so it is reasonable to expect that an artificially high level of carbon dioxide might stop an ice-age from beginning. On the other side, the oceanographer Wallace Broecker [Broecker, 1997] has argued that the present warm climate in Europe depends on a circulation of ocean water, with the Gulf Stream flowing north on the surface and bringing warmth to Europe, and with a counter-current of cold water flowing south in the deep ocean. So a new ice-age could begin whenever the cold deep counter-current is interrupted. The counter-current could be interrupted when the surface water in the Arctic becomes less salty and fails to sink, and the water could become less salty when the warming climate increases the Arctic rainfall. Thus Broecker argues that a warm climate in the Arctic may paradoxically cause an ice-age to begin. Since we are confronted with two plausible arguments leading to opposite conclusions, the only rational response is to admit our ignorance. Until the causes of ice-ages are understood, we cannot know whether the increase of carbon-dioxide in the atmosphere is increasing or decreasing the danger. My second heresy is also concerned with climate change. It is about the mystery of the wet Sahara. This is a mystery that has always fascinated me. At many places in the Sahara desert that are now dry and unpopulated, we find rock-paintings showing people with herds of animals. The paintings are abundant, and some of them are of high artistic quality, comparable with the more famous cave-paintings in France and Spain. The Sahara paintings are more recent than the cave-paintings. They come in a variety of styles and were probably painted over a period of several thousand years. The latest of them show Egyptian influences and may be contemporaneous with early Egyptian tomb paintings. Henri Lhote’s book, “The Search for the Tassili Frescoes”, [Lhote, 1958], is illustrated with reproductions of fifty of the paintings. The best of the herd paintings date from roughly six thousand years ago. They are strong evidence that the Sahara at that time was wet. There was enough rain to support herds of cows and giraffes, which must have grazed on grass and trees. There were also some hippopotamuses and elephants. The Sahara then must have been like the Serengeti today. At the same time, roughly six thousand years ago, there were deciduous forests in Northern Europe where the trees are now conifers, proving that the climate in the far north was milder than it is today. There were also trees standing in mountain valleys in Switzerland that are now filled with famous glaciers. The glaciers that are now shrinking were much smaller six thousand years ago than they are today. Six thousand years ago seems to have been the warmest and wettest period of the interglacial era that began twelve thousand years ago when the last Ice Age ended. I would like to ask two questions. First, if the increase of carbon dioxide in the atmosphere is allowed to continue, shall we arrive at a climate similar to the climate of six thousand years ago when the Sahara was wet? Second, if we could choose between the climate of today with a dry Sahara and the climate of six thousand years ago with a wet Sahara, should we prefer the climate of today? My second heresy answers yes to the first question and no to the second. It says that the warm climate of six thousand years ago with the wet Sahara is to be preferred, and that increasing carbon dioxide in the atmosphere may help to bring it back. I am not saying that this heresy is true. I am only saying that it will not do us any harm to think about it. The biosphere is the most complicated of all the things we humans have to deal with. The science of planetary ecology is still young and undeveloped. It is not surprising that honest and well-informed experts can disagree about facts. But beyond the disagreement about facts, there is another deeper disagreement about values. The disagreement about values may be described in an over-simplified way as a disagreement between naturalists and humanists. Naturalists believe that nature knows best. For them the highest value is to respect the natural order of things. Any gross human disruption of the natural environment is evil. Excessive burning of fossil fuels is evil. Changing nature’s desert, either the Sahara desert or the ocean desert, into a managed ecosystem where giraffes or tunafish may flourish, is likewise evil. Nature knows best, and anything we do to improve upon Nature will only bring trouble. The humanist ethic begins with the belief that humans are an essential part of nature. Through human minds the biosphere has acquired the capacity to steer its own evolution, and now we are in charge. Humans have the right and the duty to reconstruct nature so that humans and biosphere can both survive and prosper. For humanists, the highest value is harmonious coexistence between humans and nature. The greatest evils are poverty, underdevelopment, unemployment, disease and hunger, all the conditions that deprive people of opportunities and limit their freedoms. The humanist ethic accepts an increase of carbon dioxide in the atmosphere as a small price to pay, if world-wide industrial development can alleviate the miseries of the poorer half of humanity. The humanist ethic accepts our responsibility to guide the evolution of the planet. The sharpest conflict between naturalist and humanist ethics arises in the regulation of genetic engineering. The naturalist ethic condemns genetically modified food-crops and all other genetic engineering projects that might upset the natural ecology. The humanist ethic looks forward to a time not far distant, when genetically engineered food-crops and energy-crops will bring wealth to poor people in tropical countries, and incidentally give us tools to control the growth of carbon dioxide in the atmosphere. Here I must confess my own bias. Since I was born and brought up in England, I spent my formative years in a land with great beauty and a rich ecology which is almost entirely man-made. The natural ecology of England was uninterrupted and rather boring forest. Humans replaced the forest with an artificial landscape of grassland and moorland, fields and farms, with a much richer variety of plant and animal species. Quite recently, only about a thousand years ago, we introduced rabbits, a non-native species which had a profound effect on the ecology. Rabbits opened glades in the forest where flowering plants now flourish. There is no wilderness in England, and yet there is plenty of room for wild-flowers and birds and butterflies as well as a high density of humans. Perhaps that is why I am a humanist. To conclude this piece I come to my third and last heresy. My third heresy says that the United States has less than a century left of its turn as top nation. Since the modern nation-state was invented around the year 1500, a succession of countries have taken turns at being top nation, first Spain, then France, Britain, America. Each turn lasted about 150 years. Ours began in 1920, so it should end about 2070. The reason why each top nation’s turn comes to an end is that the top nation becomes over-extended, militarily, economically and politically. Greater and greater efforts are required to maintain the number one position. Finally the over-extension becomes so extreme that the structure collapses. Already we can see in the American posture today some clear symptoms of over-extension. Who will be the next top nation? China is the obvious candidate. After that it might be India or Brazil. We should be asking ourselves, not how to live in an America-dominated world, but how to prepare for a world that is not America-dominated. That may be the most important problem for the next generation of Americans to solve. How does a people that thinks of itself as number one yield gracefully to become number two? I am telling the next generation of young students, who will still be alive in the second half of our century, that misfortunes are on the way. Their precious Ph.D., or whichever degree they went through long years of hard work to acquire, may be worth less than they think. Their specialized training may become obsolete. They may find themselves over-qualified for the available jobs. They may be declared redundant. The country and the culture to which they belong may move far away from the mainstream. But these misfortunes are also opportunities. It is always open to them to join the heretics and find another way to make a living. With or without a Ph.D., there are big and important problems for them to solve. I will not attempt to summarize the lessons that my readers should learn from these heresies. The main lesson that I would like them to take home is that the long-range future is not predetermined. The future is in their hands. The rules of the world-historical game change from decade to decade in unpredictable ways. All our fashionable worries and all our prevailing dogmas will probably be obsolete in fifty years. My heresies will probably also be obsolete. It is up to them to find new heresies to guide our way to a more hopeful future. Sixty years ago, when I was a young and arrogant physicist, I tried to predict the future of physics and biology. My prediction was an extreme example of wrongness, perhaps a world record in the category of wrong predictions. I was giving advice about future employment to Francis Crick, the great biologist who died in 2005 after a long and brilliant career. He discovered, with Jim Watson, the double helix. They discovered the double helix structure of DNA in 1953, and thereby gave birth to the new science of molecular genetics. Eight years before that, in 1945, before World War 2 came to an end, I met Francis Crick for the first time. He was in Fanum House, a dismal office building in London where the Royal Navy kept a staff of scientists. Crick had been working for the Royal Navy for a long time and was depressed and discouraged. He said he had missed his chance of ever amounting to anything as a scientist. Before World War 2, he had started a promising career as a physicist. But then the war hit him at the worst time, putting a stop to his work in physics and keeping him away from science for six years. The six best years of his life, squandered on naval intelligence, lost and gone forever. Crick was good at naval intelligence, and did important work for the navy. But military intelligence bears the same relation to intelligence as military music bears to music. After six years doing this kind of intelligence, it was far too late for Crick to start all over again as a student and relearn all the stuff he had forgotten. No wonder he was depressed. I came away from Fanum House thinking, “How sad. Such a bright chap. If it hadn’t been for the war, he would probably have been quite a good scientist”. A year later, I met Crick again. The war was over and he was much more cheerful. He said he was thinking of giving up physics and making a completely fresh start as a biologist. He said the most exciting science for the next twenty years would be in biology and not in physics. I was then twenty-two years old and very sure of myself. I said, “No, you’re wrong. In the long run biology will be more exciting, but not yet. The next twenty years will still belong to physics. If you switch to biology now, you will be too old to do the exciting stuff when biology finally takes off”. Fortunately, he didn’t listen to me. He went to Cambridge and began thinking about DNA. It took him only seven years to prove me wrong. The moral of this story is clear. Even a smart twenty-two-year-old is not a reliable guide to the future of science. And the twenty-two-year-old has become even less reliable now that he is eighty-two.